I live for Home Made Indie Horror! 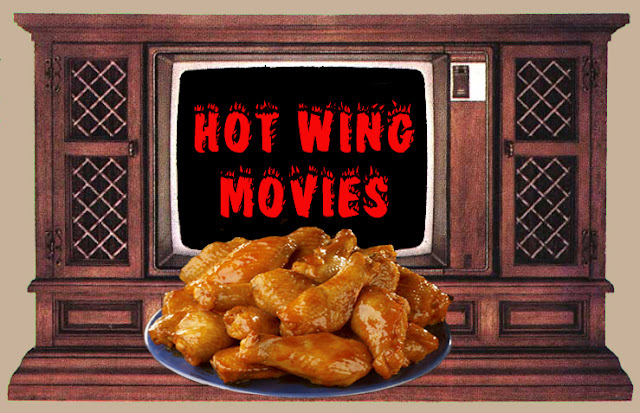 "HOT WING MOVIES" is a name I have made for movies that were made by people with a lot of heart and a love of Horror and Monster Movies. Sometimes they are intentionally made to be over the top, but other times there is such a great story line that the viewer can overlook it's lack of budgeting. It all started in the early film days of Edward D. Wood Jr. to the days of American International Pictures Atomic Monsters and Creature Features usually directed by king of the Drive-In's Roger Corman. Then onto the Grindhose features of Samuel M. Sherman, Herschell Gordon Lewis and Ted V. Mikels. Which leads us to a man that launched a thousand Indie Movie Makers and helped them make the jump from film to VHS Horrors. Lloyd Kaufman had originally done a film to video transfer with "The Toxic Avenger" and to this day creates his features on film and transfers them to digital. But he inspired legions of fans to buy "Super VHS" cameras (Which is a Studio format) and create their own Hot Wing Horrors. This led to the Silver Age of Mom and Pop Video Stores. When I was a teenager the shelves of the Horror Section were jam packed with Indie Horrors from top to bottom. And there were days where I would bring in a copy of Fangoria to see what to watch with the "Video Eye of Dr. Cyclops" or I would just go by what had the coolest box art. And there were times where I brought home complete crap, but other times I would find a great Hot Wing Movie! Like "Basket Case", "Pieces", Piranha II (The Spawning), "Q" and "Terrorvision". It was great watching all of these home made or small studio backed creature features and slashers until the rise of corporate video stores... They seriously cut down on the places where Indie Horrors were released, and unless you were lucky enough to have a half decent magazines to order the movies from or were able to get to horror conventions you had a hard time of finding something new. And it really cut down on the fun of a blind pick because they weren't cheap. Even if you were able to get them at $10.00 you were out that ten if it sucked, when you could have bought a great Hot Wing Movie instead. But then the internet came along and became the biggest Drive-In in the world! Indie filmmakers once again had the chance to get a group of friends together cover them in gallons of Kayro based fake blood record it and release it to an awaiting audience. I think it's great that there are hundreds if not thousands of Indie Horror titles for me to go through now. And as I find the top shelf Home Made Horrors I'll be posting them on the site.